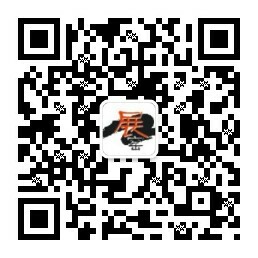 酒店餐饮耗材展 ——HCCE——CHINA——HCCE CHINA上海国际酒店及餐饮业供应商交易会Shanghai International Hotel & Catering Suppliers Fair2019第四届上海国际酒店与餐饮业耗材博览会The 4th Shanghai International Hotel & Catering Consumables Exhibition 2019时间：2019年6月4至6日 地点：中国·上海光大会展中心Date: June 4-6, 2019 Venue: Shanghai Everbright Convention & Exhibition Center,China指导单位中国食品工业协会国际美食餐饮行业协会上海日用品行业协会主办单位上海日用品行业协会酒店用品专业委员会承办单位上海展窑展览服务有限公司支持单位中华素食协会重庆市烹饪协会浙江省酒店用品协会江苏省餐饮行业协会浙江省餐饮行业协会广东省团餐配送行业协会江苏省酒店日用品行业协会中国食品工业协会食品物流专业委员会全国旅游饭店与餐馆协会 ■展会概况： 随着我国旅游行业的不断成熟，我国酒店数量的不断增长，我国酒店用品、一次性耗材用品的市场规模都将得到较大的增长。2017年8月28日，“去哪儿网”推出“初品”，开卖酒店一次性耗材用品。快餐业、旅游业的快速发展，促进了一次性餐饮具的应用。根据交通部门统计，每天有几千万人在流动，仅铁路交通使用快餐盒每年达5亿多只，各城市快餐业年用量达100多亿只，方便面、超市用各种托盘、杯子、航空业、其他行业用各种一次性包装制品总量超过300多亿只，且每年仍以6%的速度增长。外卖潮流使去年中国互联网用户网上订餐比例接近40%，网上订餐逐渐成为外卖主流，线下餐线上卖俨然已成业内趋势。作为酒店与餐饮行业规模大、影响力强、水平高的“酒店餐”耗材用品展览会，同期举行中国（上海）国际餐博会（CFBE CHINA），以及生鲜冷链展（CCLE CHINA）、餐饮设备及食品饮料展（FHA CHINA）主题展，为业内人士提供了一站式推销和信息融合的平台。基于长三角地区便捷的地理位置，以及公司系列展累积的深厚国内外买家资源，展会将以上海为中心，覆盖整个华东市场，成为链接高端市场与终端买家的桥梁，推动酒店与餐饮用品产业健康发展。展会旨在为国内外中高端酒店和餐饮采购商、国内外经销商、提供一站式采购解决方案和拓宽海外渠道的贸易平台。 ■同期活动（筹划中）：上海素食、果蔬文化节中国酒店餐饮耗材产业发展论坛“私人定制”高端酒店客房用品推介会酒店及餐饮行业采购商配对洽谈会评选“年度十大五**旅游酒店”评选“年度*具投资潜力餐饮企业”中国餐饮与冷链物流创新发展高峰论坛 ■展品范围： 酒店客房消费品：牙刷，牙膏，梳子，剃须刀，香皂，洗发液，沐浴液，护发素，拖鞋，浴花、浴帽、浴条，浴缸袋，马桶垫，洗澡巾等浴室用品，擦鞋布、打火机，垃圾袋，餐巾纸、抽纸、湿巾、毛巾等，水杯，无纺制品，棉制品，印刷品，***，地毯，睡袋，浴袍，一次性床上用品等； 餐饮耗材： 纸餐具、餐盒，塑料餐具、餐盒，水晶餐具，纤维环保餐具、餐盒，可降解快餐盒，玉米、马铃薯、木薯等淀粉类餐具、餐盒，铝箔餐盒，快餐饭盒，一次性环保餐盒，打包餐盒、碗，各种食品级包装、盘子、刀叉、勺、筷、吸管、签棒，洗碗巾，手套，口罩，食品级塑料托盘、塑料筐、周转箱，垃圾桶，一次性杯子，塑料包装袋、食品保鲜膜、保鲜袋等塑料薄膜制品，烹调纸、锡纸、桌布；餐具自动包装机、洗碗机、全自动纸杯机、湿纸巾设备、餐巾纸设备、自动察鞋机，酒店与餐饮制服、礼服、职业装；酒店私人定制品牌；餐饮私人定制品牌。 ■专业观众：• 主办机构将通过国内外大众与专业媒体：如报纸、电视、专业网站、微信等，发布本届展会信息及相关报导；• 庞大的《采购商数据库》，定点、定向邀请全国各省市、港澳台地区餐饮业协（商）会，大型中高档超市、中国百强餐饮企业，航空公司餐饮部门；• 全国**酒店及各类品牌连锁酒店、宾馆、酒楼、饭馆、咖啡厅、医院、大型餐饮机构、娱乐场所、桑拿浴场、大型商场、超市、酒店投资管理机构、酒店与餐饮业用品经销商及相关企事业单位；• 沃尔玛、家乐福、华联、美廉美、物美、世纪联华、京客隆、欧尚、卜蜂莲花、麦德龙、贸易商、经销商、代理商、分销商、批发商、礼品团购、大型连锁酒店、大型零售商、度假村。 ■参展费用： ★ 标准展位： (注：双面开口加收10%费用) A.国内企业 12800.00 /展期（RMB） 3m × 3m B.国外企业 3800.00 /展期（USD） 3m × 3m★ 室内光地：A.国内企业 1200（RMB）/平方米 B.国外企业 380（USD）/平方米★ 注：标准展位（包括：三面白色壁板、中（英）文楣牌制作、咨询桌一张、折椅二张、地毯满铺、展位照明、220V/5a电源插座一个（特殊用电请事先说明，另行收费）、废纸篓一个。（*少36平方米起租）“光地”只提供参展空间，不包括展架、展具、地毯、电源等。会刊广告：◇封面 25000元 ◇封二 18000元 ◇彩首 12000元 ◇封三 15000元，◇封底 20000元 ◇彩色内页 8000元 ◇彩色内页对开 15000元；注：会刊尺寸140mm（宽）×210mm（高）◇参观证 50000元/3万张 ◇手提袋广告 50000元/1万个 ◇门票广告 20000元/1万张 ◇条幅广告 12000元/幅 ◇拱门 18000/个 ◇5米*3米广告牌 20000/个；★ 新产品新技术发布会:每场10000元/45分钟，国外企业3000.00（USD）★行业特别协办单位18万，仅限1家；协办单位128,000，仅限2家；招待晚宴协办单位108,000元，限1家（详情见附件1、2、3）。更多现场广告方案请咨询：021-80348170 ▉参展程序:参展条件:具有《营业执照》的相关行业企业1.填写《参展申请表》邮寄或传真至组织单位。展位执行 “先申请，先付款，先安排”的原则；2.申请展位后一周内将参展费用[50%（订金）或全款]电汇或交至组织单位，余款于2019年5月3日前付清。参展商在汇出各项费用后，请将银行汇款单传真至展会组织单位。 如欲订“HCCE CHINA 2019酒店餐耗材用品展”展位和了解更多信息，请通过以下联络方式:To reserve the booth of “HCCE CHINA 2019” or learn more information, please contact: 国内部：联系人：华南区 杨 生13710491808（广州）华北区 李经理13439880025（北京）华东区 习经理17765110324（上海）总机：021-6042-8394（展位咨询）微信：17765110324QQ： 274402319E-mail: 17765110324@126.com总部：上海市浦东新区三林路88号307 International Division：Contacts: JimmyWeChat: 13482165724Tel: 86-29-8458-4816 E-mail: 13482165724@163.comAdd: No. 2, Daqing Road, Xi'an, 18-2-13. 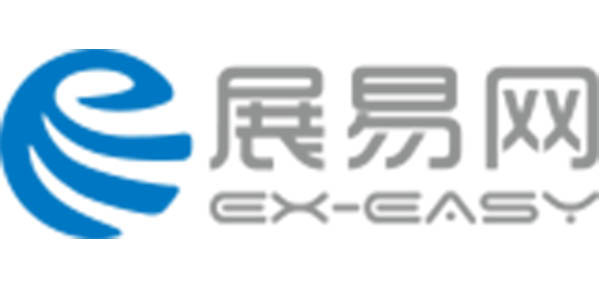 生鲜冷链展 ——FLCE——CHINA——2019第七届上海国际生鲜配送及冷冻冷链冷库技术设备展览会The 7th Shanghai International Fresh Logistics & Cold Chain Cold Storage Technology Equipment Exhibition 2019时间：2019年6月4日至6日 地点：中国·上海光大会展中心Date: June 4-6, 2019 Venue: Shanghai Everbright Convention & Exhibition Center,China网址/ Web：www.globalssia.com 指导单位丨Guidance unit中国食品工业协会丨China National Food Industry Association国际冷藏仓库协会丨International Association of Refrigerated Warehouses上海冷藏库协会丨Shanghai Association of Refriger-ated Warehouses主办单位丨Hosted by中国食品工业协会食品物流专业委员会Food Logistics Commission of China National Food Industry Association中华素食协会丨China Vegetarian Society承办单位丨Organized by上海展窑展览服务有限公司Shanghai Kilnexpo Exhibition Service Co.,Ltd.上海博纳展览服务有限公司Shanghai BONA Exhibition Service Co.,Ltd.支持单位丨Supported by泰国冷冻食品协会丨Thailand Frozen Food Association欧洲冷库与物流协会丨European Association of cold storage and logistics中国食品工业协会冷冻冷藏食品专业委员会丨Refrigerated and Frozen FoodsCommittee of China National Food Industry Association 上海日用品行业协会丨Shanghai Commodity Association上海市冷冻食品协会丨SHANGHAI FROZEN FOOD ASSOCIATION江苏省餐饮行业协会丨Jiangsu Province Dining Profession Association上海郑明现代物流有限公司丨Shanghai Zhengming Modern Logistics Co., Ltd.上海康帅实业股份有限公司丨Shanghai Kangshuai Industrial Corporation Limited福建赛特冷链科技有限公司丨Fujian Super Tech Cold Chain Technology Co., Ltd.■合作媒体丨Associated Media：国联股份|中国冷链产业网|中国冷链物流网|中国制冷网|制冷人才网|制冷快报|中国空调制冷网|华阳制冷网|慧聪冷冻冷藏网|冷链物流产业网|中国冷冻冷藏网|中国制冷设备网|中国冷冻食品网|中国冷鲜柜网|中国托盘产品网|中国食品网|火爆食品饮料招商网|中华餐饮网|世界食品网|中国食品招商网|品牌食品网|渔业新资源|水产门户网|中国西南渔业网|海参网|世界酒网|美酒招商网|中国名酒招商网|中国酒商■展会概况| Exhibition Overview：预计到2020 年我国冷链市场将达到3479 亿规模，当前，“一带一路”国家战略的实施，上海、广东、天津、福建自贸区的发力，中澳、中韩等贸易协定的签署，使得跨境冷链业务日益频繁，而移动互联网的崛起，又催生了生鲜电商、冷链宅配的兴起；近年来，生鲜电商企业发展迅速，生鲜配送行业得到了政府与业界的高度关注。据专家预测，我国生鲜电商市场具有近万亿元人民币的潜力，被称为是中国电商下一个千亿市场。据国务院办公厅公告，冷链物流行业也被提上国务院重点工作安排的议程，明确表示要健全食用农产品和食品冷链物流建设和运行标准，提高冷链物流水平。在国家对产业政策支持推动下，国内外资本巨头纷纷进入该领域，未来五年生鲜冷链配送市场需求巨大。2019上海国际生鲜配送及冷冻冷链冷库技术设备展览会将在上海光大会展中心隆重举办，新一届展会的规模和展商规模数量将进一步提高，同时更加专注于生鲜冷链物流全产业链展示平台的打造，重点推出冷藏冷冻设备、生鲜电商、冷库工程和冷链物流四大主题专区；并携手第十届中国（上海）国际餐博会（CFBE CHINA）、第九届国际高端葡萄酒及烈酒展（HIGH-END WINE）及水产海鲜展（SSIA CHINA）、薯类产品展（21Potato Expo），汇聚了20多个国家展团和专业观众，展出总规模26000平方米。致力于打造互联网+智慧全冷链解决方案的专业平台！Is expected to 2020, China's cold chain market scale will reach 347 billion 900 million, the implementation of the "The Belt and Road national strategy, Shanghai, Guangdong, Tianjin, Fujian FTA force, signed in Australia, South Korea and other trade agreements, making cross-border cold chain operations have become increasingly frequent, the rise of mobile Internet, and spawned a rise fresh, cold chain delivery; in recent years, the rapid development of fresh business enterprise, fresh food distribution industry has been highly concerned about the government and the industry. According to experts predict that China's fresh electricity supplier market has nearly one trillion yuan of potential, is known as China's electricity supplier next billion market. 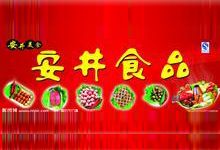 According to the notice of the general office of the State Council, the cold chain logistics industry has also been put on the agenda of the State Council on work arrangements, clear to improve the agricultural and food cold chain logistics construction and operation standards of consumption, improve the level of cold chain logistics. With the support of the state's industrial policy, domestic and foreign capital giants have entered the field, and the demand for fresh cold chain distribution market is huge in the next five years. 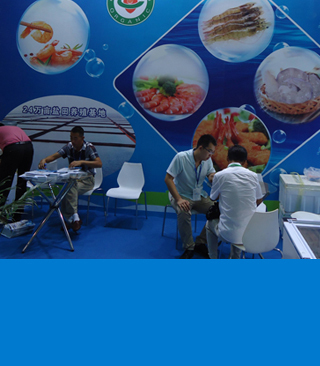 Shanghai International Fresh Logistics & cold chain cold storage Technology Equipment Exhibition 2019 will be held in Shanghai Everbright Convention & Exhibition Center,China, the size and the number of exhibitors new exhibition will be further improved, and more focused on fresh cold chain logistics platform to build the whole industry chain, focus on the introduction of Refrigerated refrigerating equipment, Fresh electricity, cold storage engineering and cold chain logistics four theme areas; and to the 10th China (Shang hai) International Catering Food & Beverage Exhibition, the 9th China (Shang hai) International High-end Wine & Spirits Exhibition，International Seafood Exhibition and 21Potato Expo, brought together more than 20 national exhibition groups and professional audience, exhibited a total size of 26,000 ㎡. A professional platform to create Internet plus wisdom all cold chain solutions!2019年**健康潮流的上海素食、果蔬文化节，主办方中华素食协会、中国食品工业协会食品物流专委会，将联合多家国内外协会，共同把握素食和果蔬产业发展契机，打造行业内*前沿的素食、果蔬展示和交流平台，推动素食、果蔬文化交流与合作。我们专注于为国际素食、果蔬产品及其渠道商提供一个与来自全世界的爱好者交流的平台！ ■同期活动|Concurrent Events：2019中国餐饮与冷链物流创新发展高峰论坛China's catering and cold chain logistics innovation and Development Summit Forum 20192019上海火锅美食文化节Shanghai Hotpot Cuisine Culture Festival 20192019上海素食、果蔬文化节Shanghai Vegetarian, Fruit and Vegetable Culture Festival 2019互联网+生鲜电商及冷链发展高峰论坛 Internet plus fresh and cold chain development forum“舌尖上的海味”水产海鲜推介品鉴会A Bite of Seafood-Introduction and Tasting Meeting of Seafood生鲜配送产业高峰论坛Fresh Distribution Industry Summit Forum ■展品范围|Scope of exhibits：冷链物流及配送服务冷藏冷冻设备冷藏冷冻运输装备预冷及净化工程冷库及冷库工程冷链仓储及搬运设备冷链信息系统冷链监控系统、温湿度记录仪、传感器生鲜加工、保鲜及包装技术生鲜电商冷冻冷藏柜陈列柜综合制冷、材料及配件Cold chain logistics and distribution servicesRefrigerated refrigerating equipmentRefrigerated transport equipmentPrecooling and purification worksCold storage and cold storage engineeringCold chain storage and handling equipmentCold chain information systemCold chain monitoring system, temperature and humidity recorder, sensorFresh processing, fresh-keeping and packaging technologyFresh electricity supplierFreezer display cabinetIntegrated refrigeration, materials and accessories■专业观众| Visiting audience：• 水果和蔬菜、花卉等农产品生产加工流通、生物、食品、医药、批发、生鲜电商、零售业；• 制冷与冷冻冷藏、保鲜设备和技术供应商；• 仓库/冷库业主、**管理人员；• 餐饮、酒店、宾馆业及大型零售商和批发商；• 低温物流航运公司，公路、铁路、航空运输，集装箱公司，仓储代理，供应链解决方案提供商；• 农产品、食品、医药相关协会、疾控中心、大中型医院后勤采购部门。• 化妆品、保健品、烟草等加工；• 大中型机关团体、企事业单位、军队等后勤管理部门；• 农业、食品、商业流通、食品医药监管领域相关政府机构• fruits, vegetables, flowers and other agricultural products production,processing, circulation, biological, food, pharmaceutical, wholesale, freshelectricity providers, retail;• refrigeration and refrigeration, fresh equipment and technology suppliers;• Warehouse / cold storage owners and senior management;• catering, hotels, hotels and large retailers and wholesalers;• low temperature logistics, shipping companies, highways, railways, air transport, container companies, warehousing agents, supply chain solutions providers;• agricultural products, food and medicine related associations, CDC, large and medium-sized hospital logistics procurement department.• cosmetics, health care products, tobacco processing;• large and medium-sized organs, organizations, enterprises and institutions, the army and other logistics management departments;• agricultural, food, commercial, food, pharmaceutical, regulatory, and other government agencies■参展费用|Booth Rate： ★ 标准展位： (注：双面开口加收10%费用) A.国内企业 12800.00 /展期（RMB） 3m × 3m B.国外企业 3800.00 /展期（USD） 3m × 3m注：每个标准展位9平方米包括（三面白色壁板、中（英）文楣牌制作、咨询桌一张、折椅二张、地毯满铺、展位照明、220V/5A电源插座一个、废纸篓一个）。（特殊用电请事先说明，另行收费）★ 室内光地：A.国内企业 1300（RMB）/平方米 B.国外企业 380（USD）/平方米 注：（*少36平方米起租）“光地”只提供参展空间，不包括展架、展具、地毯、电源等。会刊广告：◇封面 25000元 ◇封二 18000元 ◇彩首 12000元 ◇封三 15000元，◇封底 20000元 ◇彩色内页 8000元 ◇彩色内页对开 15000元；注：会刊尺寸140mm（宽）×210mm（高）◇参观证 50000元/3万张 ◇手提袋广告 50000元/1万个 ◇门票广告 20000元/1万张 ◇条幅广告 12000元/幅 ◇拱门 18000/个 ◇5米*3米广告牌 20000/个；★ 新产品新技术发布会:每场10000元/45分钟，国外企业 3000.00（USD）★行业特别协办单位18万，仅限1家；协办单位128,000，仅限2家；招待晚宴协办单位108,000元，限1家（详情见附件1、2、3）。更多现场广告方案请咨询：021-80348170International Exhibitor• Standard Booths(3m*3m):USD 3,800/9㎡;(Plus 10% for corner booth).• Raw Space:USD 380/㎡(minimum 36 sq.m. ).• New product and new technology conference: USD 3000/45 minutesIndustry special co organizer $38,000, only 1; CO organizer $28,000, only 2; reception dinner co organizer $20,000, limited to 1 (details see attachment 1, 2, 3). ▉参展程序| Exhibition Procedure:1.填写《参展申请表》邮寄或传真至组织单位。展位执行 “先申请，先付款，先安排”的原则；2.申请展位后一周内将参展费用[50%（订金）或全款]电汇或交至组织单位，余款于2019年5月3日前付清。参展商在汇出各项费用后，请将银行汇款单传真至展会组织单位。1.fill in the application form for exhibition, mail or fax to the organization. The principle of "first application, first payment, first arrangement";2.Within one week after the Booth Application,Exhibitors will cost [50% (deposit) or full payment] by telegraphic transfer or pay to the organization ,the balance paid before in May 3, 2019. After remitting the expenses, the exhibitor will send the bank remittance email to the exhibition organization. 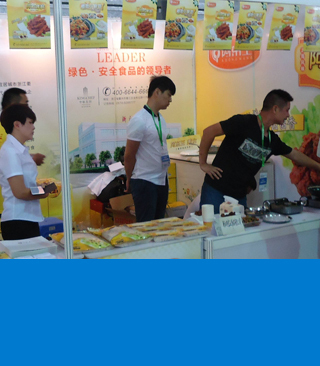 如欲订“FLCE CHINA 2019”展位和了解更多信息，请通过以下联络方式:To reserve the booth of “FLCE CHINA 2019” or learn more information, please contact: 2019第七届上海国际生鲜配送及冷冻冷链冷库技术设备展览会组委会Organizing Committee of The 7th Shanghai International Fresh Logistics & Cold Chain Cold Storage Technology Equipment Exhibition 2019 国内部：联系人：李经理13439880025（北京）习经理17765110324（上海）杨生 13710491808（广州）电话：021-8034-8170微信：17765110324QQ： 274402319E-mail: 17765110324@126.com International Division：Contacts: JimmyWeChat: 13482165724Tel: 86-21-6042-8394 E-mail: sales@kilnexpo.com总部：上海市浦东新区三林路88号307Add: 307,88 Sanlin Road,Shanghai,Pudong New Area. 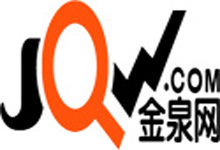 高端畜牧及肉业展 Animal husbandry, meat industry2019中国（上海）国际高端畜牧及肉业博览会China (Shanghai )International High-end Animal husbandry and Meat industry Exhibition 2019 时间：2019年6月4日至6日 地点：中国·上海光大会展中心Date: June 4-6, 2019 Venue: Shanghai Everbright Convention & Exhibition Center,China展出面积：26000㎡ 展商规模：180+ 观众数量：29000+ 指导单位·Guidance unit中国食品工业协会丨China National Food Industry Association中国农业产业化龙头企业协会主办单位·Hosted by中国食品工业协会肉、禽、水产品专委会Meat, Poultry and Seafood Commission of China National Food Industry Association承办单位·Organized by上海展窑展览服务有限公司Shanghai Kilnexpo Exhibition Service Co.,Ltd.支持单位·Supported by澳洲肉类及畜牧行业协会丨Australian Meat and Livestock Industry Association西班牙肉类协会丨CONFECARNE中国食品工业协会冷冻冷藏食品专业委员会Refrigerated and Frozen Foods Committee of China National Food Industry Association上海市特种养殖业行业协会江苏省餐饮行业协会丨Jiangsu Province Dining Profession Association上海市冷冻食品协会丨SHANGHAI FROZEN FOOD ASSOCIATION陕西省畜牧业协会内蒙古农牧业产业化龙头企业协会 ■展会概况| Exhibition Overview： 未来世界畜产品的生产在人口增长和收入增加的驱动下,以及城镇化对畜产品需求的高度集中,畜牧业仍将成为农业经济中增长*为迅速的产业之一。畜牧业在我国国民经济中占有极其重要的地位。建设现代畜牧业，大力推进畜产品品牌建设，发展优质安全的品牌畜牧业，是未来畜牧业的发展趋势。人们对粮食的需求呈逐渐下降趋势，而对肉、奶、蛋等各种畜产品的需求则不断上升。随着近两年中国畜牧业迈入转型升级的重要阶段，行业对现代化技术和设备的需求不断攀升，也更关注农业环境污染、食品安全以及动物健康等问题。为了共话国内外畜牧发展现状与趋势，发掘中国畜牧产业关键发展期的新机遇，主办方组织泰国、越南、韩国、印度、伊朗、埃及、俄罗斯等10余个海外专业客户群；加强与国内30多家行业专业机构和媒体的深入合作，并组织100多家畜牧和肉业品牌企业同台展示其*新、*具有竞争力的产品科技。进一步提升展会的贸易价值，促进中国畜牧行业的内贸及外贸发展需求。延续上届展会的成功，2019中国（上海）国际高端畜牧业及肉业博览会将设立五个主要展区，致力于呈现完整的畜牧及肉业的全产业链：肉类、禽类食品区将着力展示各类冷冻食品及调理食品；畜产品加工技术和设备区将收录屠宰技术设备及肉类加工设备；牲畜、家禽养殖系统和设备区将集中展示行业的新产品、新技术及新成果；包装机械及包装材料区将展示包装设备与材料、包装印刷、标签机械和条形码喷涂技术；*后，冷冻冷藏设备与冷链物流区将带来各类冰箱冷柜、冷藏设备，制冷材料、冷库门、冷链物流等产品。丰富的同期活动也是展会的一大亮点：包括了一系列肉类与商超、餐饮企业，养殖、屠宰、加工、包装、冷冻冷藏设备企业与畜牧业、肉业企业的商贸配对会，为生产商、制造商及供应商提供一个面对面的经销洽谈、商贸合作、经验交流，以及与来自全世界的爱好者交流的平台！打造以畜牧及肉业行业为重要服务领域的精品贸易盛会！ ■同期举办|Co-located with 中国畜牧肉业与冷链物流创新发展高峰论坛第十届上海国际酒店及餐饮业供应商交易会2019上海国际生鲜配送及冷冻冷链冷库技术设备展览会2019上海国际食品加工及装备展览会2019上海火锅美食文化节畜牧和肉业采购商配对洽谈会新产品（新技术）招商项目洽谈推介会 ■参展范围|Scope of exhibits： ◇肉类食材：冷冻/冰鲜肉、肉卷、肉丸、火腿、香肠、水产品、调理食品及即食产品等； ◇禽类食品：速冻家禽、分割禽、禽肉调理食品、禽肉深加工食品、蛋品等； ◇优质畜产品：高端牛羊肉、蛋、奶，毛绒皮产品及其制品；优质蜂产品和传统畜牧食品； ◇ 畜产品加工技术和设备：肉类屠宰设备；肉类加工设备；乳制品处理和加工；禽蛋处理和加工；检测及检验设备；包装设备及包装材料；冷藏及冷冻设备、冷藏车和冷链物流； ◇ 牲畜、家禽养殖系统和设备：孵化机械、温控设备、饮水设备及其它养殖设备；畜舍、禽舍设施；通风和空气净化；品种培育；孵化器和孵化场；进给系统；气候控制；◇畜牧业综合服务：兽药、饲料、信息、媒体、软件、科技、咨询、金融、保险、培训、劳动服装等。 ■参展费用|Booth Rate： ★ 标准展位： (注：双面开口加收10%费用) A.国内企业 12800.00 /展期（RMB） 3m × 3m B.国外企业 3800.00 /展期（USD） 3m × 3m★ 豪华展位：3m×3m国内企业： RMB 13800元/个；国外企业: ＄4000元/个；★ 室内光地：A.国内企业 1300（RMB）/平方米 B.国外企业 380（USD）/平方米注：每个标准展位9平方米包括（三面白色壁板、中（英）文楣牌制作、咨询桌一张、折椅二张、地毯满铺、展位照明、220V/5A电源插座一个（特殊用电请事先说明，另行收费）、废纸篓一个）。“光地”*少36㎡起租，只提供参展空间，展馆内24小时保洁\保安，不包括展架、展具、地毯、电源等。 会刊广告：◇封面 25000元 ◇封二 18000元 ◇彩首 12000元 ◇封三 15000元，◇封底 20000元 ◇彩色内页 8000元 ◇彩色内页对开 15000元；注：会刊尺寸140mm（宽）×210mm（高）◇参观证 50000元/3万张 ◇手提袋广告 50000元/1万个 ◇门票广告 20000元/1万张 ◇条幅广告 12000元/幅 ◇拱门 18000/个 ◇5米*3米广告牌 20000/个；★ 新产品新技术发布会:每场10000元/45分钟，国外企业 3000.00（USD）★ 行业特别协办单位20万，仅限1家；协办单位16万，仅限2家；招待晚宴协办单位10万，限1家（详情见附件1、2、3）。更多现场广告方案请咨询：021-80348170 ■邀请专业买家| Visiting audience： 多年积累的丰富数据库的基础上，2019上海高端畜牧及肉业博览会 将继续邀请：1、肉类制品和肉类加工零售商；2、畜牧业产品批发贸易商、食品（肉制品）经销商、贸易商；3、屠宰企业、中央储备肉活禽储备基地（企业）；4、肉类及肉类加工机械生产企业和贸易商；5、全国性食品质量监测点企业（商场、超市）；6、地方商务主管部门；7、畜牧业、肉类行业组织；百余家媒体阵容战略合作、鼎力报道，通过会前、会中、会后的集中宣传，辅助企业树立品牌形象和知名度。 ▉参展程序| Exhibition Procedure: 参展条件:具有《营业执照》的相关行业企业。1.填写《参展申请表》邮寄或传真至组织单位。展位执行 “先申请，先付款，先安排”的原则；2.申请展位后一周内将参展费用[50%（订金）或全款]电汇或交至组织单位，余款于2019年5月3日前付清。参展商在汇出各项费用后，请将银行汇款单传真至展会组织单位。1.fill in the application form for exhibition, mail or fax to the organization. The principle of "first application, first payment, first arrangement";2.Within one week after the Booth Application,Exhibitors will cost [50% (deposit) or full payment] by telegraphic transfer or pay to the organization ,the balance paid before in May 3, 2019. After remitting the expenses, the exhibitor will send the bank remittance email to the exhibition organization. 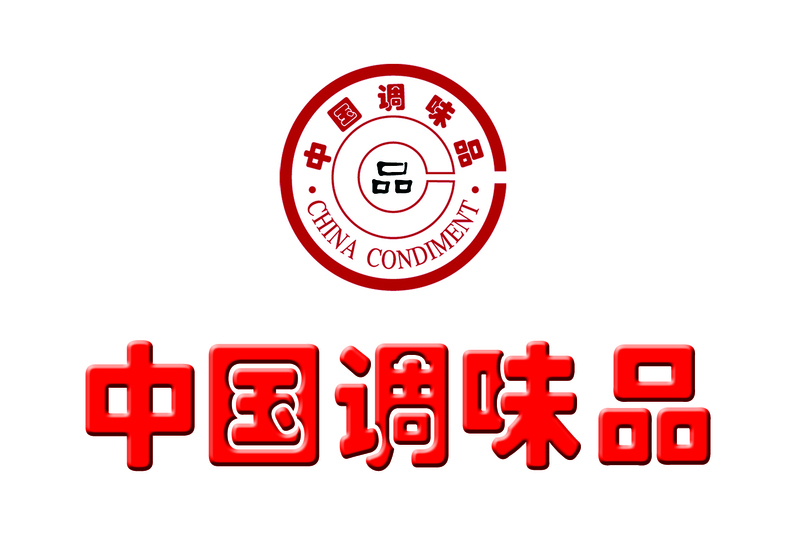 2019中国（上海）国际高端畜牧及肉业博览会组委会Organizing Committee of China (Shanghai )International High-end Animal husbandry and Meat industry Exhibition 2019 国内部：联系人：李经理13439880025（北京）习经理17765110324（上海）电话：021-8034-8170微信：17765110324QQ： 274402319E-mail: 17765110324@126.com International Division：Contacts: JimmyWeChat: 13482165724Tel: 86-21-6042-8394 E-mail: sales@kilnexpo.com总部：上海市浦东新区三林路88号307Add: 307,88 Sanlin Road,Shanghai,Pudong New Area.西部：西安市大庆路2号18-2-13Western China: No. 2, Daqing Road, Xi'an, 18-2-13.